ALBEMARLE COUNTY - A Virginia sheriff writes to Governor McAuliffe, supporting the release of a man convicted of a Bedford County double murder. The 19-page letter written by Albermarle County Sheriff, J.E. 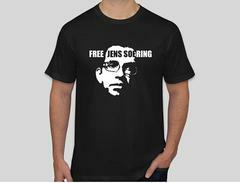 "Chip" Harding is set to be included in the second supplement to the pardon petition for Germany native, Jens Soering. The sheriff has been looking over the case for the past three months, spending between 200 to 250 hours pouring over the investigation and the trial from the 1985 murders of Bedford County residents Derek and Nancy Haysom. In a WSLS 10 exclusive, we spoke with the sheriff over the phone less than ten minutes ago-- and he says this is a case he feels strongly about. "As I started to look at the evidence presented at trial and what the true evidence really is, I started feeling like we had an injustice going on here," said Harding. 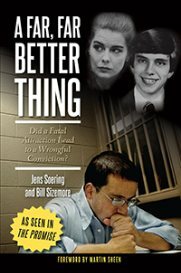 "I feel very strongly that if he was given a new trial today, the jury wouldn't even come close to finding him guilty beyond a reasonable doubt and if the governor agrees with me he should at least look at a pardon and let him go back to Germany." This is believed to be the first time in Virginia's history that an active sheriff has written such a letter to support a pardon request.